This post is part of an ongoing series outlining the formation of the New Testament canon. 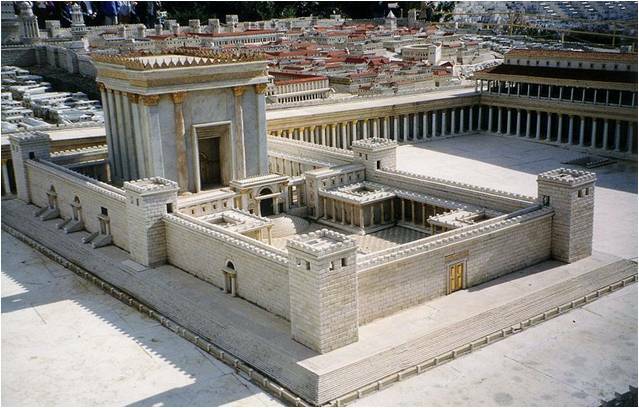 Vital to understanding the formation of the New Testament canon is the need to understand both the context of Second Temple Judaism as well as first century Christian use of the Jewish Scriptures (now also the Christian Old Testament). Do any Google search on “Jewish Bible” and you’re likely to find the common argument that the Jewish Bible was not closed until the Council of Jamnia (c. 90 CE). This has led some scholars, such as Lee M. McDonald, to advocate that Jesus may have considered some writings which are now not included in the Protestant Old Testament to have been scriptural and authoritative. McDonald argues that Jesus, and even the writers of the New Testament books, did not have to hold to a traditional Jewish canon, and even though most New Testament quotations are from the Torah (Books of Moses) and Nevi’im (Prophets), the writers of the New Testament felt free to quote from the open Ketuvim (Writings; see for example Jude 14’s possible quotation of Enoch). McDonald further argues that Jesus and his followers felt they could modify or change the Old Testament writings if necessary. This view is opposed by scholars such as J.N.D. Kelly, Bruce Metzger, Craig Evans, and Hans Von Campenhausen. Indeed, the position of many scholars is that the Early Christian church accepted the commonly recognized books of Jewish Tanakh as the scriptures of the early Jesus movement, despite the difficulties that such acceptance caused for early Christians concerning the Judaizing problem. Thus when reading in 2 Timothy 3:16 that “all scripture is God-breathed”, we must remember that this references the Jewish scriptures, not necessarily any of the New Testament writings. Following this perspective then, it seems that what is now called the Old Testament has been part of the “practical canon” of the Christian church since Jesus began his ministry. Before delving into the debates surrounding the practical (and then formal) canonization of New Testament writings, a word must be said on the issues of oral tradition and the dating of the composition of New Testament writings. Far too often scholars have used “oral tradition” as punt-that-question-down-the-road tactic, where everything potentially problematic with their historical reconstruction falls into the realm of “oral tradition”, that amorphus and generally unexplained phenomenon of antiquity. Of course, there are legitimate uses of the “oral tradition” explanation, such as explanation of Ignatian reliance upon sources while traveling to Rome . On the topic of dating, scholars generally affirm that most (if not all) writings now found in the New Testament were written during the first century (the common exceptions are 2 Peter and Revelation, and occasionally the final form of the Fourth Gospel). Using standard dating, the letters of Paul are argued to have been written between about 50 CE and 64 CE, the catholic epistles post 70 CE, Revelation around 90 CE, and for the Gospels ranging from about 65-80 CE for the synoptics, with John being somewhat later. It is important to consider these dates, as well as alternate earlier dates for the composition of the New Testament books when considering the development of the canon. For example, the likelihood that early Christians found Paul’s letters compelling and placed them into a collection with other letters seems somewhat more likely if they have been in used longer. As we will see below, many New Testament concepts and stories were in wide circulation by the end of the first century, making early collection and distribution of Christian literature quite plausible. Lee Martin McDonald, The Biblical Canon: Its Origins, Transmission, and Authority, Hendrickson Publishers, Peabody, MA, 2007, 190-198. Ibid., 198-200. J.N.D. Kelly, Early Christian Doctrines, Fifth Ed. Continuum, London, 2009, 53-56. Bruce M. Metzger, The New Testament: Its Background, Growth, and Context, Abingdon Press, New York &amp; Nashville, 1965, 273. Hans Von Campenhausen, The Formation of the Christian Bible, Fortress Press, Philadelphia, 1972, 1-103. See Von Campenhausen, The Formation of the Christian Bible, for conversation upon the difficulties that the Old Testament presented the Early Christian Church. For more on this topic, please see Prahlow, “Discerning Witnesses” (Wake Forest University, 2014). For treatment of this issue see Robinson’s Redating the New Testament. SCM Press, London, 1976.